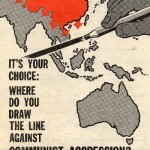 On the 24th September 1946, Clark Clifford and George Elsey presented a report to President Truman in which they recommended “restraining and confining” Soviet influence. Contrasting Pro-Soviet and Pro-American films from the post-WW2 period related to the increasing tensions between the two countries. 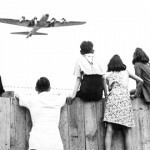 This short podcast presents an overview of how and why Stalin chose to end the Berlin Blockade. 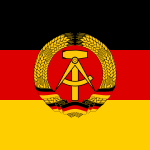 On the 7th October 1949 the German Democratic Republic, otherwise known as East Germany, was founded in the Soviet occupied zone of Germany. 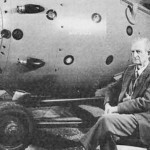 On the 29th August 1949, the Soviet Union successfully detonated its first nuclear weapon codenamed RDS-1 and nicknamed First Lightning. 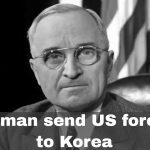 Why did President Truman send the US navy and air force to Korea? US President Harry S. Truman ordered air and naval forces to assist South Korea against an invasion by North Korea. 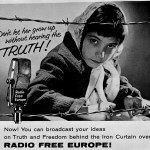 On the 4th July 1950, Radio Free Europe – founded the previous year to transmit uncensored information to audiences behind the Iron Curtain – completed its first broadcast. 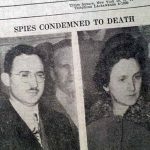 Julius and Ethel Rosenberg were found guilty of espionage and sentenced to death for their role in passing information about the US nuclear programme to the Soviet Union. 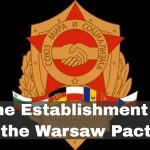 The USSR and seven other European countries signed the Treaty of Friendship, Cooperation, and Mutual Assistance better known as the Warsaw Pact.